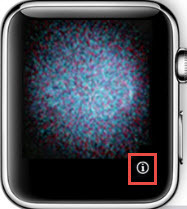 On the Apple Watch, press and hold the Side button (located next to the Digital Crown) until the Apple logo is displayed. 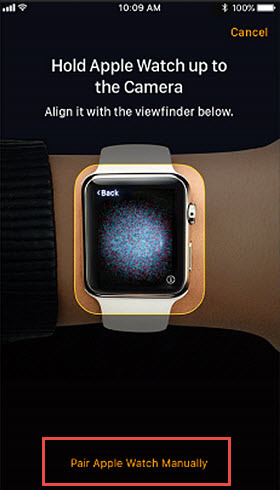 On your iPhone, tap the Watch app icon . Tap Start Pairing on the iPhone. El reloj debería mostrar una animación de conexión. Tap Pair Apple Watch Manually on the iPhone. On the Watch, tap the Info icon. On the iPhone, verify or enter the 5-digit name that matches the one that is displayed on the Watch. En el iPhone, ingresa el código de 6 dígitos que aparece en el reloj. Continúa con los pasos de configuración inicial desde el paso 5. Para obtener más ayuda, consulta: Asistencia para Apple Watch.